People ask occasionally what is typical Australian food. The answer, if more than a shrug, rarely includes native foods, but a hands-down, heads-off favourite of mine is the Bunya nut. They come in “kegs” (like a giant pine-cone) bigger than a football and that weighs up to 10 kilograms, and are abundant in 3 to 7 year cycles. This year, wonderfully, happens to be one of those bumper years. They come from the Bunya pine (Araucaria bidwillii), which dates back as far as the Jurassic period – long before Australia was its own continent – which might explain a little of how its seeds were once distributed. 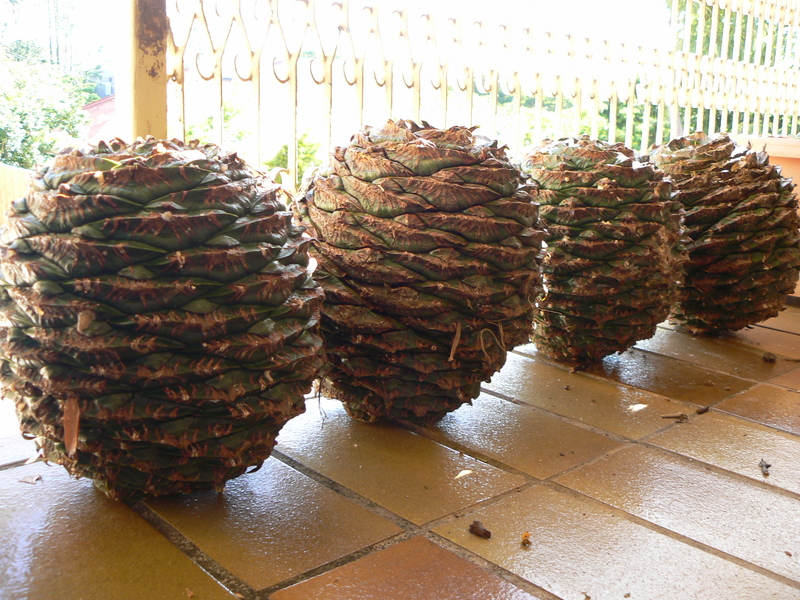 Update: Here’s a nice little article on how the cultural elements of the bumper bunya nut harvests are returning to the Sunshine Coast Hinterland. This entry was posted in Food, Foraging and tagged Australian food, Bunya nuts, Bunya pine, bush tucker, cooking, dinosaur food, foraging, recipes. Sounds splendid! I’ve posted your link to the blogs I’ve linked to here.